Fredericka Wagner at a pretrial hearing in January. Late Friday afternoon, defense attorneys for Fredericka Carol Wagner, one of two suspects in the Rhoden murder cases not directly charged with those murders, asked Pike County Court of Common Pleas Judge Randy Deering to dismiss obstruction of justice and perjury charges against their client. Wagner, 76, is the mother of murder suspect George “Billy” Washington Wagner III, mother-in-law to Angela Wagner and grandmother to George Wagner IV and Edward Wagner, the latter four all also charged directly with the infamous 2016 murders in Pike County. Out on bond but under electronically monitored house arrest, Fredericka Wagner currently is slated to be back in front of Deering for a pretrial hearing March 28. Prosecutors allege Fredericka Wagner and Rita Newcomb, another grandmother in the Wagner family, committed perjury when they testified before a Pike County grand jury investigating the murders last year. During a pretrial hearing held in January, Wagner’s attorneys and prosecutors clashed over what portions of the grand jury testimony the state was required to hand over to defense attorneys as part of routine discovery requests in the case. Discovery requests are attempts by attorneys to gain as much information from the opposing side as possible prior to the start of an actual trial. In the case of Wagner, the key bit of grand jury testimony revolves around her comments regarding the purchase of two bulletproof vests. Representing the state of Ohio and prosecuting the case, Pike County Prosecutor Rob Junk and Angie Canepa, a special prosecutor assigned to the case by the Ohio Attorney General’s office, contended during the pretrial hearing defense teams, by statute, are not entitled to transcripts of the entire testimony given by either Wagner or Rita Newcomb to the grand jury. Predictably, Wagner’s defense lawyers in particular argued otherwise. Canepa said she would provide the court a brief regarding the state’s argument against releasing the grand jury transcripts. Deering said the defense team would have one week to respond to that brief. According to a listing of filings on the website of the Pike County Court of Common Pleas, neither side filed any briefings regarding the grand jury transcripts. It may or may not be worth noting, Deering made the same orders regarding the grand jury transcripts of the testimony of Newcomb. In Friday’s filing, Wagner’s defense attorneys said they received on March 11 an eight-page transcript of the grand jury testimony. According to the defense, prosecutors said those eight pages contain all of the relevant testimony Wagner made to that Pike County grand jury. Again, following Deering’s January journal entry, neither side appears to have filed any motions or arguments specifically regarding the grand jury transcripts. According to the dismissal motion, Wagner testified she personally purchased two bulletproof vests taken as evidence from her house by agents of the Ohio Bureau of Criminal Investigation (BCI.) However, the defense states Wagner testified she purchased the two bulletproof vests after the Rhoden homicides. The filing also talks about Wagner being confused as to where she purchased the bulletproof vests. Friday’s filing goes on to argue prosecutors falsely believe the bulletproof vests were purchased prior to the Rhoden homicides. Lastly, the defense claims prosecutors falsely believed Wagner did not purchase the vests online. “Once again the irrefutable evidence now proves that she did, although she bought them from eBay not Amazon.” During her grand jury testimony, prosecutors say a confused Wagner did state she purchased the vests on Amazon. It is not clear from filings what importance has been placed on from where Wagner purchased the bulletproof vests. The defense team claims the motive for the purchase of the vests actually came from Pike County Sheriff Charles Reader following the Rhoden homicides. The defense filing goes on to say Wagner believed she had reason to fear for her family’s safety because of their close relationship with several Rhoden family members. In addition to any other relationships which might exist, murder suspect Edward Wagner is said to have fathered a child with murder victim Hanna Rhoden, allegedly a minor at the time the child was conceived. Prior to the imposition of a gag order issued by Deering, prosecutors alleged a custody battle over the child was possibly at the heart of the motive behind the Rhoden murders. In a bit of a holding pattern since late January, as has been previously reported, the story of the Rhoden family massacre is about to move into its next phase when the second round of pretrial hearings for all six suspects in the case begins Wednesday. Family matriarch Angela Wagner is slated to be back in front of Deering for a pretrial hearing 1:30 p.m. that day. Pretrials for the rest of the suspects continue throughout the month of March and extend into April, when Edward Wagner will be back in court April 4. Little evidence directly related to the murders likely is to be presented during the pretrials, but there are numerous issues which should or could be settled in the next month or so, in addition to Frederica Wagner’s filing to dismiss all charges. One other significant issue could be decided Wednesday, namely a request by the defense for Angela Wagner for change of venue moving her trial out of Pike County. 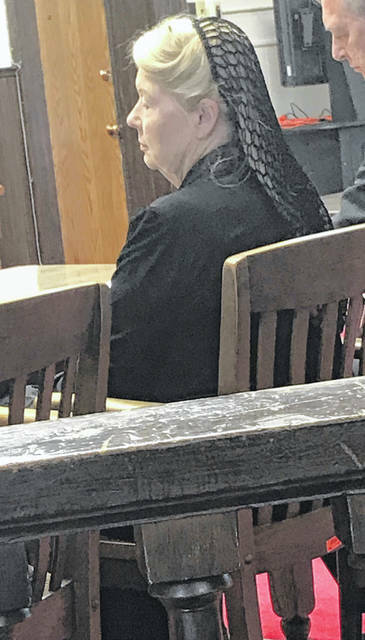 https://www.portsmouth-dailytimes.com/wp-content/uploads/sites/28/2019/03/web1_mama-wagner-2-1.jpgFredericka Wagner at a pretrial hearing in January.